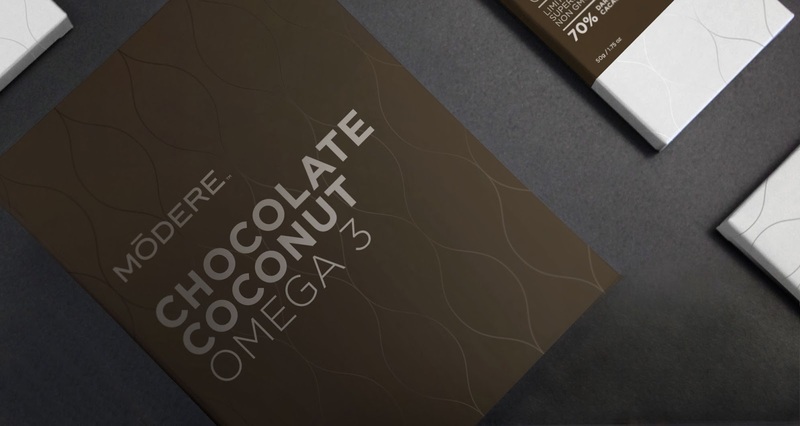 Give the gift of pure chocolate bliss this holiday season with Chocolate Coconut Omega 3 bars by Modere. Chocolate Coconut Omega 3 bars deliver the taste and luxury of gourmet chocolate, combined with functional benefits. These premium dark chocolate goodies are scored into 3 pieces to make sharing the luxury of gourmet chocolate with special people in your life easy! Plus, unlike the run-of-the mill holiday chocolate offering, this bar contains the clinically studied ingredient Life’s DHA. Life’s DHA helps support brain, eye, and heart health for all stages of life. In addition, dark chocolate at 70% minimum cacao provides a variety of minerals, as well as flavonols, polyphenols, and catechins which act as antioxidants so you can feel good about indulging.